Founded by Jan Dietrick in honor of her father Everett J. 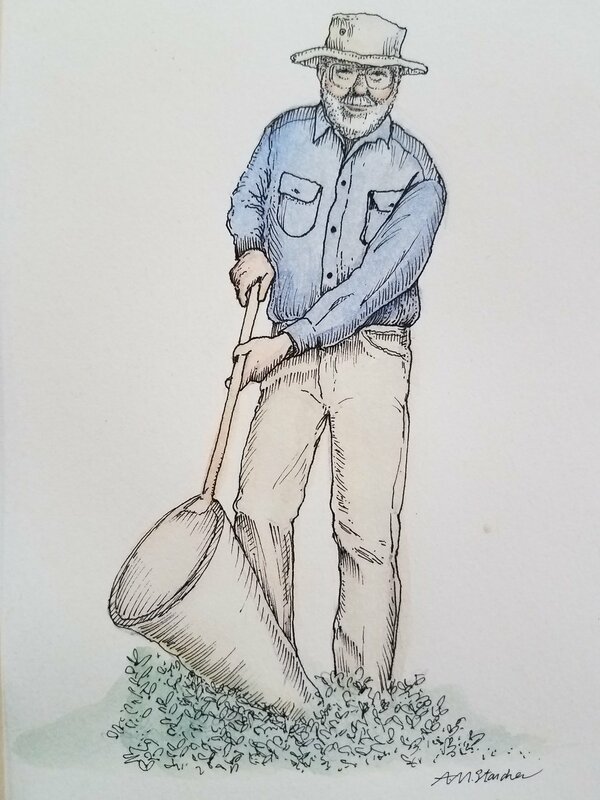 (Deke) Dietrick, pioneering insect ecologist and promoter of sustainable agriculture, the Dietrick Institute is a natural outgrowth of their work. Concerned about pollution and the degraded quality of life for farmers and the greater community from toxic chemical pesticides, Deke and Jan began their professional partnership in 1989 to promote biological alternatives. Deke and team members have been mentors to many leaders in the biocontrol field showing how to gently shift the balance of pests and their predators in ways that help ensure plants are protected cost-effectively. The DI program builds on five principles of ecologically based pest management expounded by Deke since the early 1970’s: regular monitoring, habitat enhancement, emphasis on cultural control methods, augmentation with beneficial insects as needed, and reliance on only the least disruptive pesticides and only as a last resort. The DI approach serves farmers directly and includes scientists who help monitor fields and guide discovery of better solutions. There is no commercial incentive to do this needed on-farm experimentation and training. DI trainers incorporate elements of successful non-formal community IPM education and train-the-trainer programs to prepare interns to expand access to ecologically based pest management methods in more regions.